At Sevillano Links Golf Complex Corning California. This was the first tournament in Corning California and first tournament hosted by WAGA at the Sevillano Links Golf Complex. This wonderful links golf course is designed by John Daly and is the home golf course of the BIG Break NFL winner Isaac Sanchez. 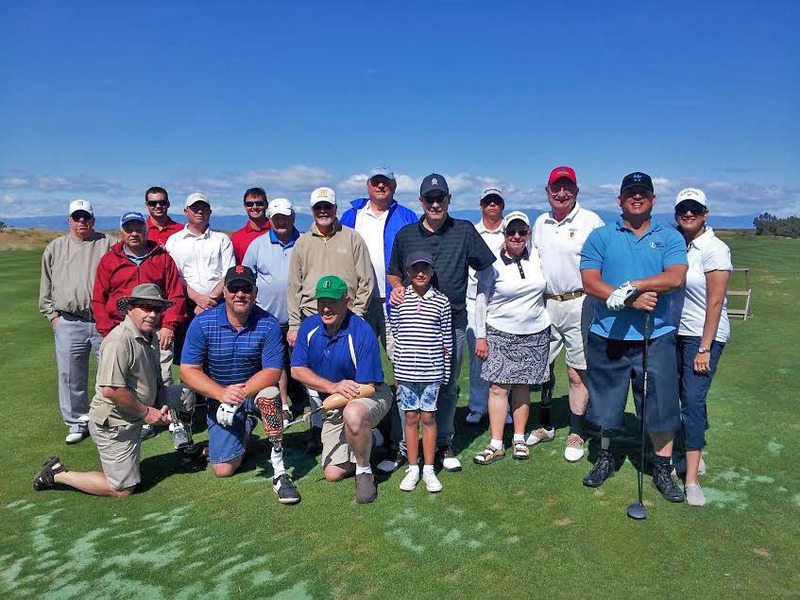 WAGA had 14 registered amputee golfers play in wonderful Corning, California. The windy conditions made the course a little tough, but all of the golfers had a great time. Mostly all of the golfers were regular players for WAGA but we did have a few new players and new sponsors for the tournament (Freedom Innovations, Cascade Prosthetics, and Cutting Edge Orthopedics). Thanks to all golfers and every that help or participated in this tournament. We had golfers from Washington State and from California to play in this event. The two-day Low Net winner was Gary Ballew and Low Gross winner was Warren Maerki. The two Division winners and new golfers to WAGA this year was Joe Harley and Robbie Marcias.